Playing one of the top teams in the division will present a good opportunity for Swansea to show how far they have come under Graham Potter. Sheffield United are the visitors to the Liberty Stadium on Saturday evening, live on Sky Sports Football, and, regardless of the result, Potters is realistic of how much work there still is to do to progress. The Swans have impressed at times this season, but a poor home record and spells of inconsistency have left them looking more a mid-table side than a real play-off contender. "There are things we have done well and things we need to improve, but we went through a lot in the summer and had a bit of a turbulent first transfer window trying to establish a new team," Potter told Sky Sports News. "Players from the academy have also been introduced into the group and it is a bit of a mix of young and old. "We are also trying to establish a footballing identity. We have done quite a lot but there is still more we need to do." The nature of management now means that a run of defeats early in your tenure is never a good thing, regardless of who you are and what competition they come in. 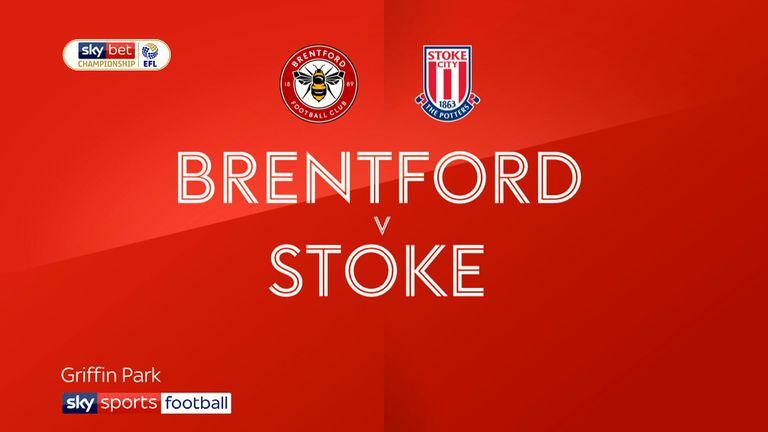 Having been on the wrong end of a resurgent Brentford last Saturday, Nathan Jones' first home game with Stoke in midweek seemed to be going swimmingly against Shrewsbury in their FA Cup third-round replay, until they completely blew it and threw away a two-goal lead in the final 20 minutes. "We crumbled," admitted Jones following that game, using an uncomfortable verb for a team nicknamed the Potters. "I couldn't see it coming because we were absolutely dominant for a good 70 minutes tonight, so for us to switch off like we did and lack defensive discipline like that is quite worrying." It doesn't get easier for Jones either. Up on Saturday at the bet365 Stadium is a clash with league leaders Leeds, who memorably took Stoke apart on the opening day of the season. There is plenty of goodwill for Jones, but it only took until Gary Rowett's fourth game against Wigan for the fans to start to turn. A positive result quickly is essential. Martin O'Neill has returned to a club where he was a legend as a player, taking charge at Nottingham Forest following Aitor Karanka's departure last week. There will have to be a certain amount of patience with a man who is a hero at the City Ground, but it is little secret that owner Evangelos Marinakis is seeking an immediate promotion, and the pressure will be on O'Neill right away, starting with their game against Bristol City. What will O'Neill bring to Forest? Former player David Prutton, Sky Sports News reporter Rob Dorsett and a club fan tell us what they think Martin O'Neill will bring to Nottingham Forest. Luckily, the Northern Irishman believes he can steer the club back to the Premier League. "I don't think there is any other reason to be here," he said in his first press conference this week. "I've had a number chances to become manager but I was not sure it was the right time. Now I have the opportunity and I may not get it again so want to make the most of it. It's great to be here and I am ready to go. "It's a privilege and an honour to be manager of the club. It's a special place. Naturally, not many clubs have won two European Cups." It is not often a manager actually gets to see through their long-term ambitions anymore. Gareth Ainsworth is a rare example. The Wycombe boss is the second longest-serving in the country now and has actually nearly completed his assignment, to take Wanderers up to League One and keep them there. "You put this plan in place and you don't realise how important it is to everyone around, the fans, the town and to me as well," he told EFL Matters on Thursday ahead of their trip to Bristol Rovers. Wycombe boss Gareth Ainsworth and Simon Grayson join David Prutton in this week's EFL Matters. "To have a chance to execute a five-year plan is phenomenal but to do it [and stay up] would be some celebration, better than the promotion last year for me because we are a small club in this league. We are loving every minute of it." Wycombe started the season among the favourites for relegation but are 13th in the table and last week came from behind to secure a dramatic victory over play-off chasing Doncaster, ending a run of four straight defeats. A few more like that and it will be job well done for Ainsworth. It is a rare thing for a manager to get the opportunity to take charge of a club mid-season in great form and on an upward trajectory. But that is the situation that Steven Pressley finds himself in at Carlisle, following the surprising departure of John Sheridan from the League Two club earlier this month. The Cumbrians were beaten 3-0 by Northampton last weekend, but before that they had won six games in a row, scoring 20 goals in the process, and now find themselves firmly embedded in the promotion race. "It's unusual for a manager to come into a club in this situation," said club chairman Andrew Jenkins following Pressley's appointment in midweek. "But he's looking forward to working with the staff who are already here on keeping the intensity levels high, and on achieving continued positive results." Pressley's first task to maintain that momentum comes at home to Cheltenham Town.